Nothing more refreshing your home look like the series of creative & unique light fixtures for indoor-outdoor. There are so many options of interior and exterior light fixtures that can make your home more attractive, aesthetically brighter, and safer. 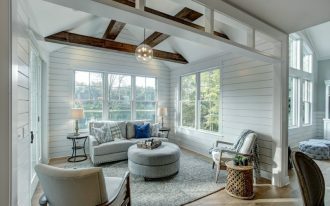 Brighten your home interior with hanging, sconces, or floor lighting fixtures, and add personal style to exterior with walls’ or ceilings’ lighting fixtures. 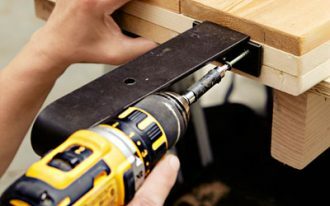 Probably you also want to install post lamps to improve your garage or driveway area. 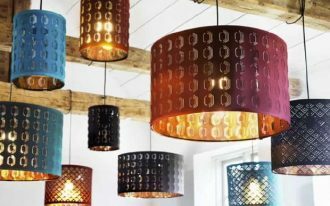 To make you easier in selecting the light fixture products for home, here they are the inspiring options of creative & unique lighting fixtures probably want to adopt. The series of spotlights have been mounted on walls, giving perfect illumination to loveseat and surrounds. 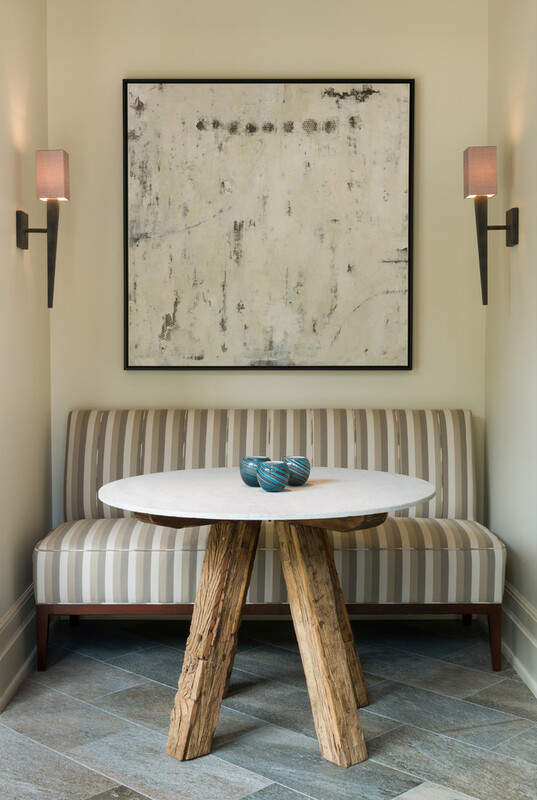 The lighting fixtures are supported by durable metal holders, and the white shades seem to optimize the light way directly referring to the seats. This wireless sconce is wrapped by stainless steel and it produces low-lighted illumination; a perfect lighting mode for a dramatic and romantic nuance. It’s also good for porch or patio. It’s really unique! 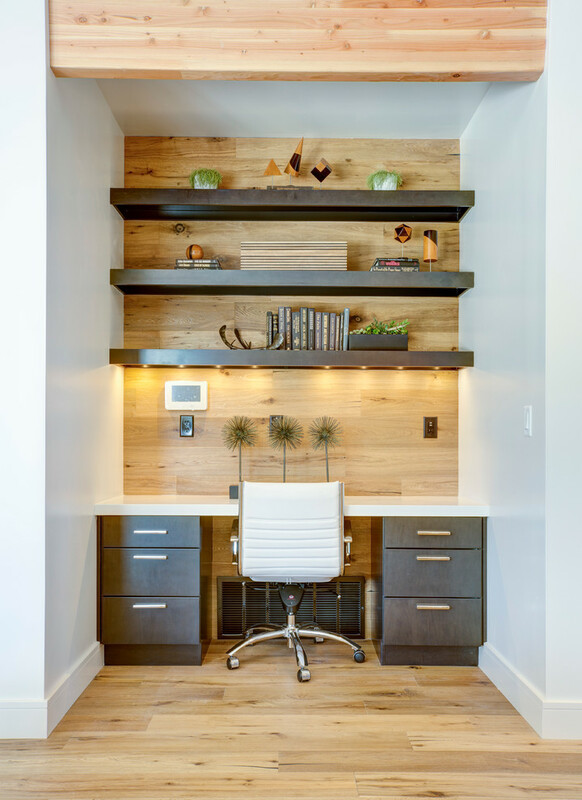 The lighting is mounted on wall, creating a practical and space-efficient look. Black has been chosen as the basic tone, giving an opposite to the background wall. White is just applied for inner light’s shade. The color choice, of course, is inspired from interior style around. 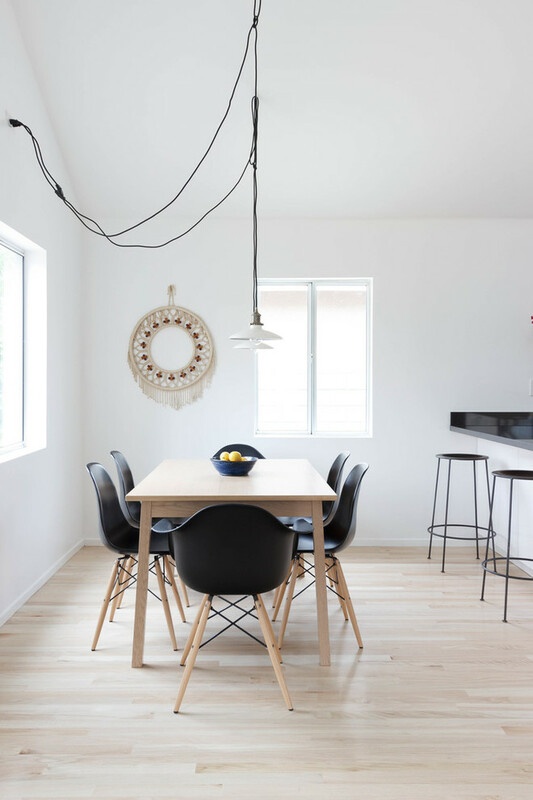 To support the clean lines concept, the interior designer puts a modern minimalist table lamp and black significantly contrasts with all-white wall system. What a perfect color combination! 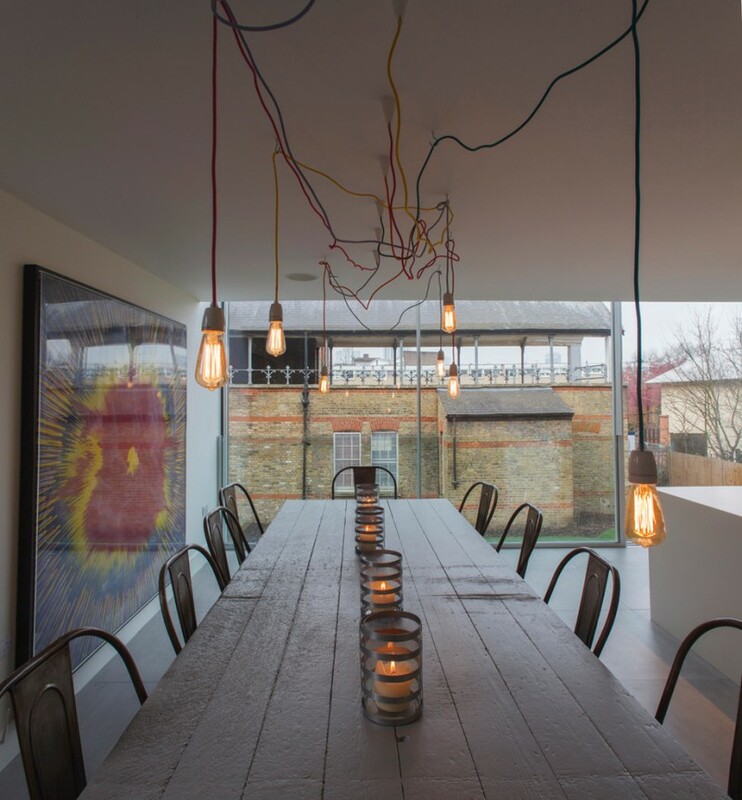 This is an industrial dining room furnished with Oak-top dining table and black steel legs. 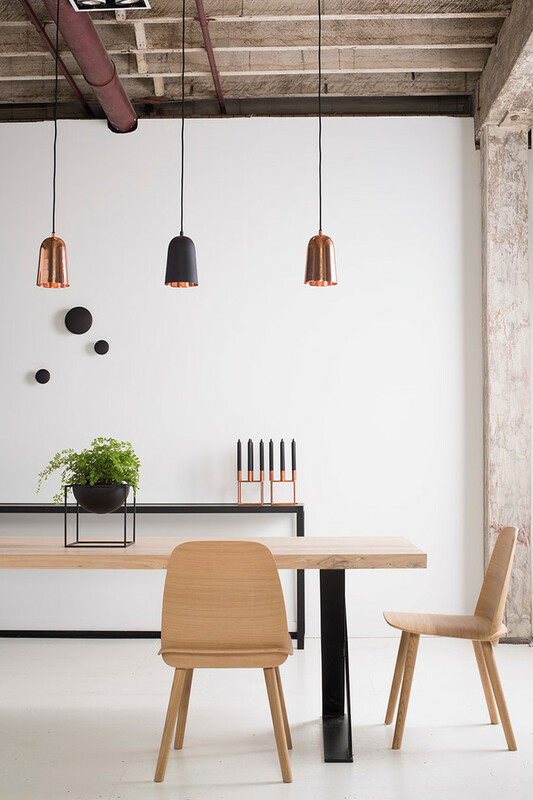 The pendant lamps are really decorative, exposing reddish- gold shades supported by longer wires. Their performance is truly crucial: as the light fixture as well as room beautifier. 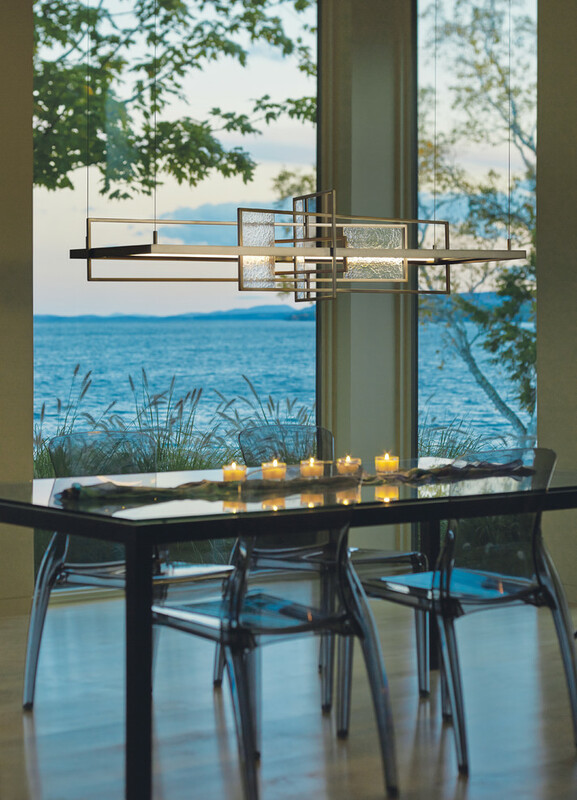 Irregular wired-pendant lamp looks more artistic when it’s applied for such mid century modern dining room. 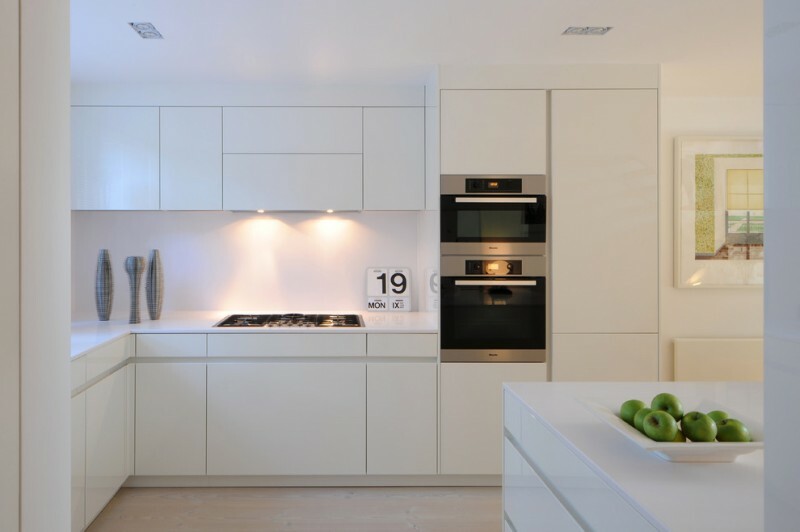 It creates a messy sense, an opposite look especially for this clean lines & simply minimalist space. The chair simply offers maximum comfort yet the table lamp is quite comforting everyone’s eyes due to its uniqueness. 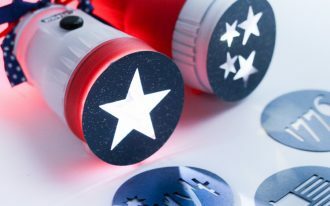 The short and curved-stand possibly makes brighter when used and precisely lights the target on. That’s why we call it ‘the effective lighter’. Warm and romantic feelings when seating here. The nuance is created by low-lighted illumination produced by these two table lamps, giving the effect of softening red on chair. 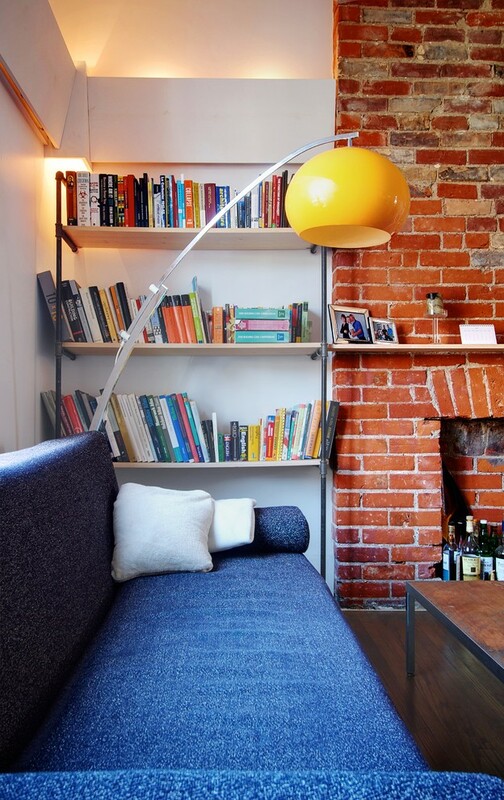 Taller floor lamp idea for a reading corner. The lamp has durable stainless steel support. The highest one is fold-able and the shade is rightly put over the chair, providing maximum light for reading. 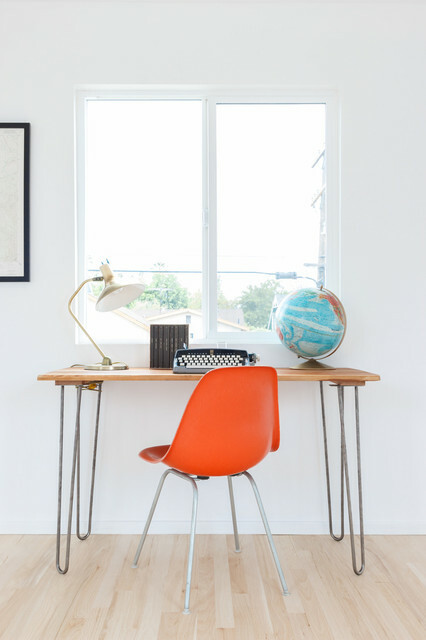 The arranged recessed lamps over the working table – this is a practical lamp choice for the home offices. Why? They produce amounts of light that brighten the whole areas up. Unique & creative table lamp in dark turquoise. The design is so stunning and clean lines, as similar as the floating table’s. This shows us the simplicity obviously brings huge value of aesthetic. A flawless chandelier – It has been supported by the thinnest wires hanging on ceilings. The design reflects highest-level of modernity. Its low-illuminated effect brings the space more dramatic and warmer, and its battery-powered makes us energy-efficient lovers. 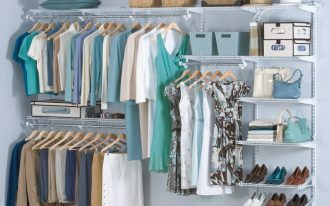 All color tones are contrasting, causing each item stands out in one frame. 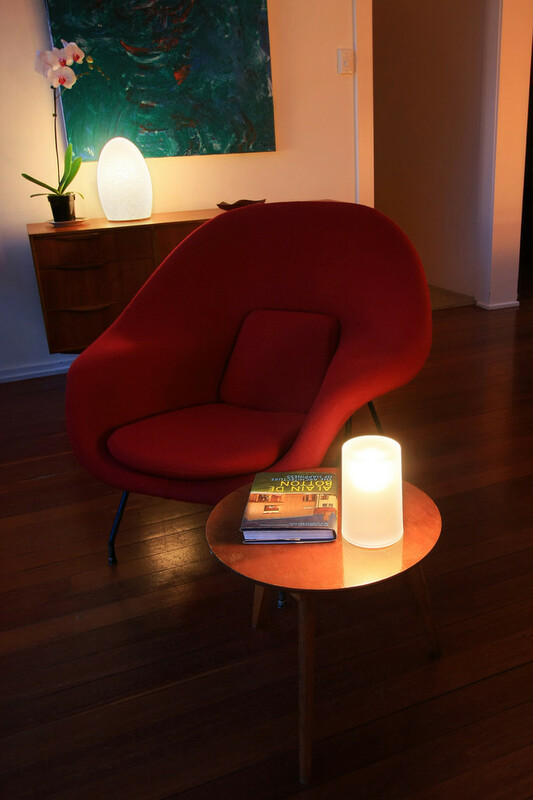 The vintage floor lamp, in the other hands, becomes the most attractive one due to its color and shape. It perfectly matches with the background, the white painted bricks walls. 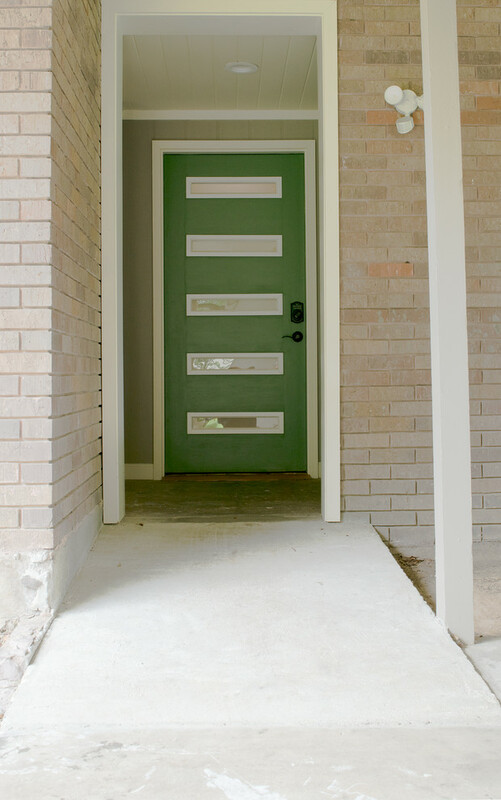 This front door has been equipped with a LED recessed light fixture installed over the door. With a motion sensor support, the light is able to be in turn-on & turn-off modes automatically. High-level technology significantly supports high-level security and performance. If you love using your hands to create creative things, you can adopt this handmade lantern chandelier for patio. 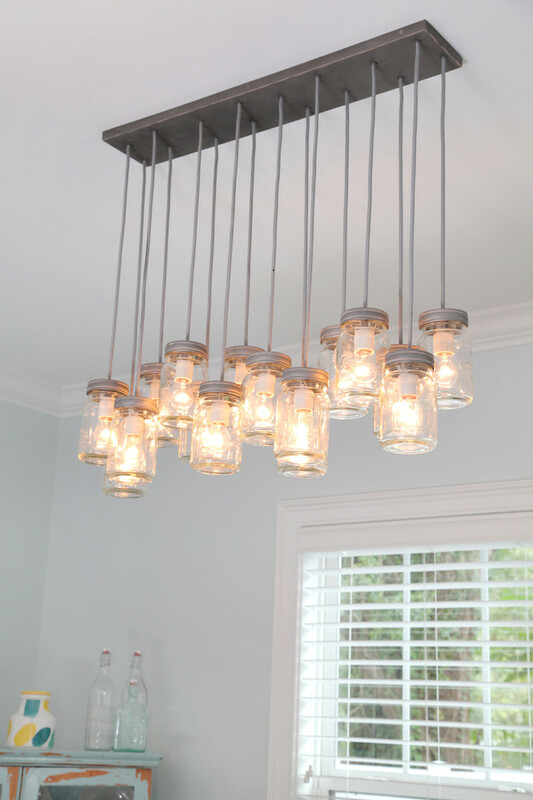 The light fixture is made of several unused items like bronze chain and mason jars. The jars are filled with the electric bulbs and supported by bronze chains. When the dark comes, these creative light fixtures will show up their warming and charming lights. When you want to remodel your light fixtures yet don’t want to cost a lot of money, these pendant lamps probably become your best solution. They can be built by your own hands. 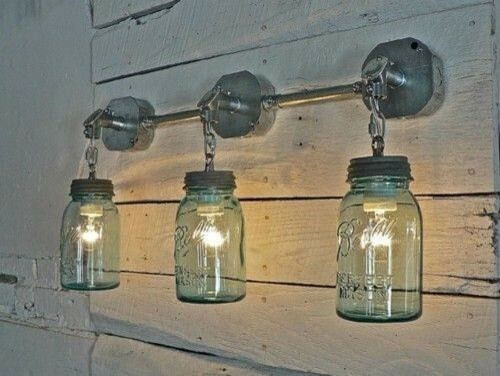 You just need several unused pickle jars and drill each a hole and add pendant light cords. 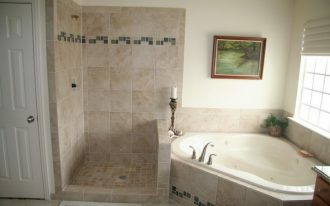 The fixtures really offer soft and warm glows. 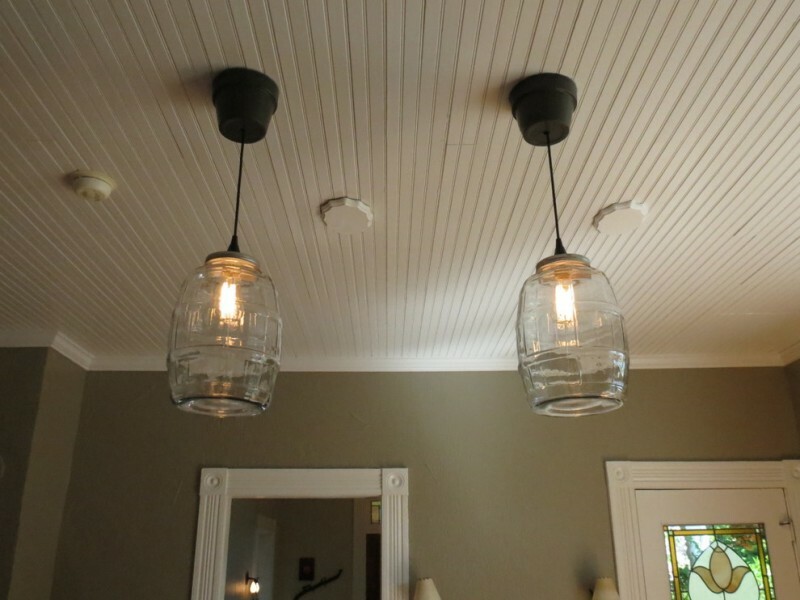 An idea of mason jar exterior light fixtures. The fixtures are hung by metal chains connected to the mounted-wall holders. The idea is classic but offers an artistic way to lighten up the exterior. Huge glass-covered lantern in a Tuscan courtyard. This idea actually has been a trend. 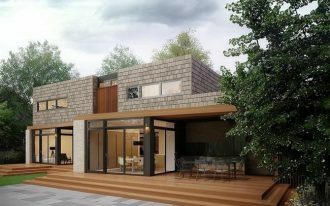 It offers so fresh air, visible sky, privacy, and natural light. 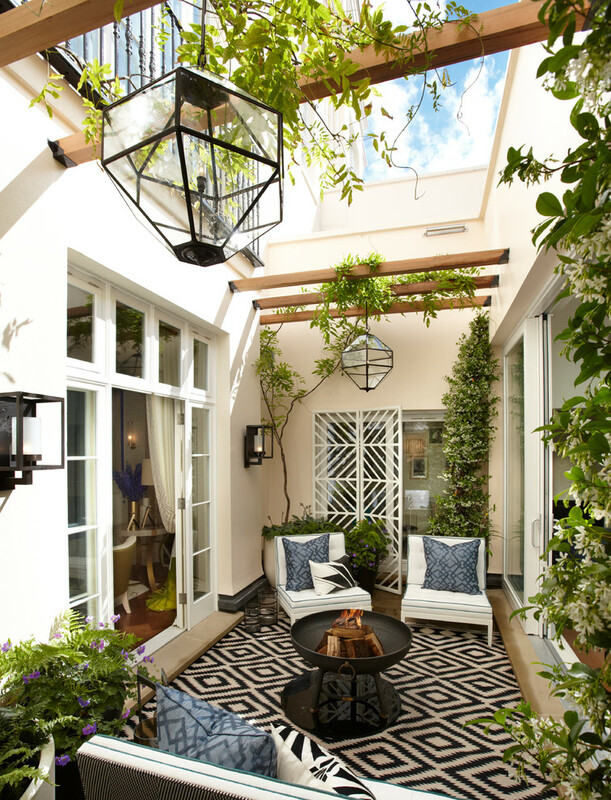 These precious values, of course, make this space a standout, especially when being collaborated with geometric and monochrome rug, exposed beams, huge lanterns, comfy seats, symmetric trellis, and amounts of greenery. 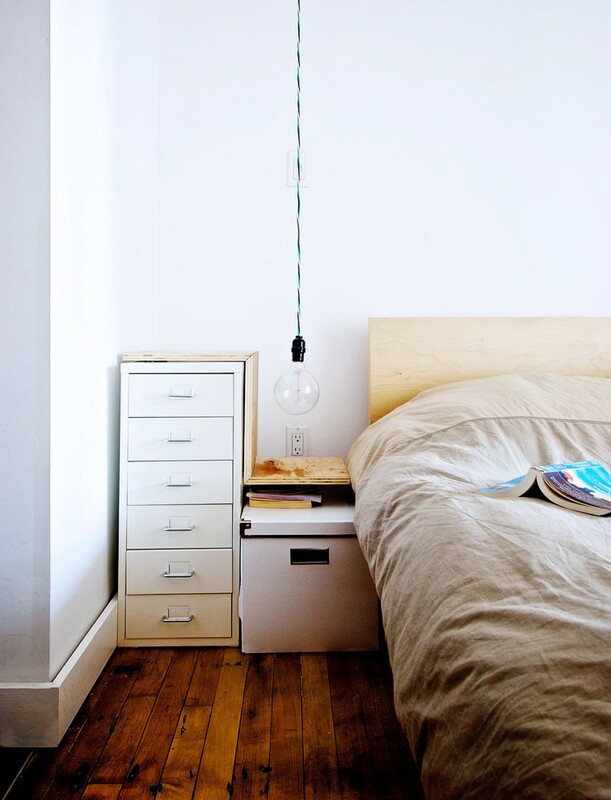 A couple of super interesting pendant lamps for bedroom. The design is uncommon but really unique. They expose a messy look with a central electric bulb. 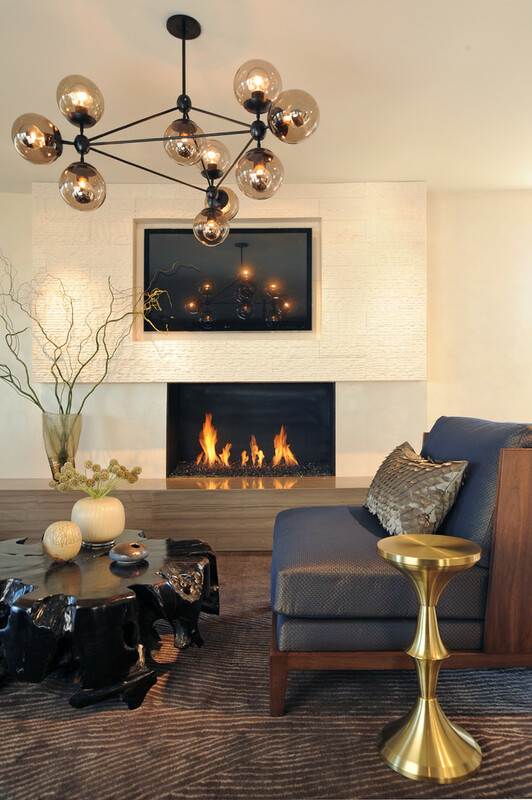 The ceiling light fixtures don’t merely offer unique creative design, but also provide soft and warm ambiance. Easy-fall-down fabrics are chosen as the light’s shades for a dramatic look, and grey here softens the light produced by the fixtures. 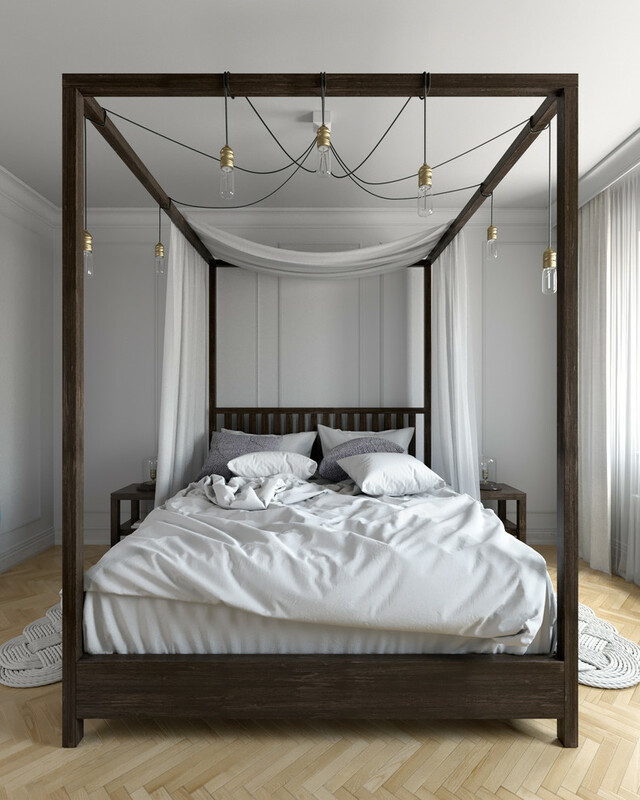 Break this clean lines bedroom just with these unique & stylish ceiling light fixtures. The fixture designer intentionally exposes long and irregular wires. The wires have been set in particular pattern against pure white wall system, viewing a beautiful contrast. 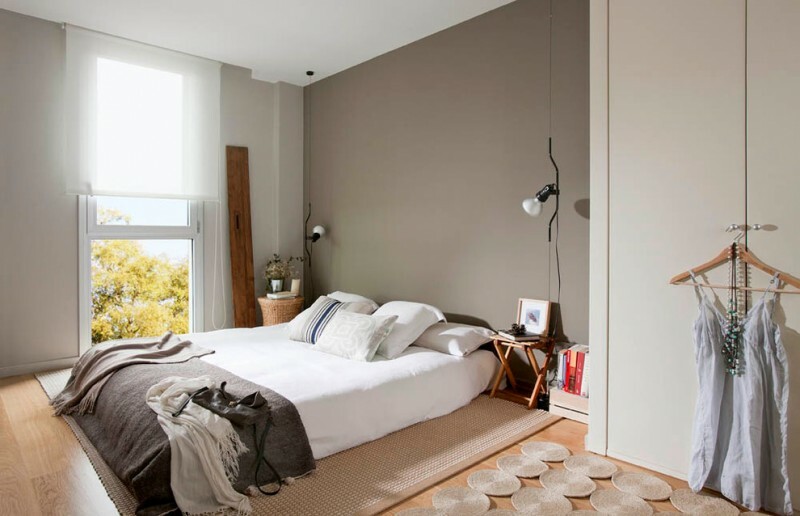 Another unique creative idea of light fixture for Scandinavian style bedrooms. 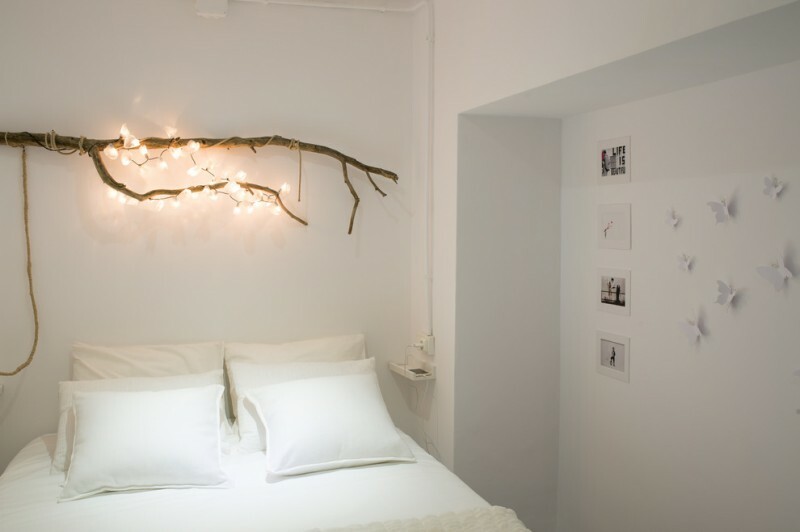 The designer creatively uses small tree branch as the media of where she puts the light strings over the bed frame. 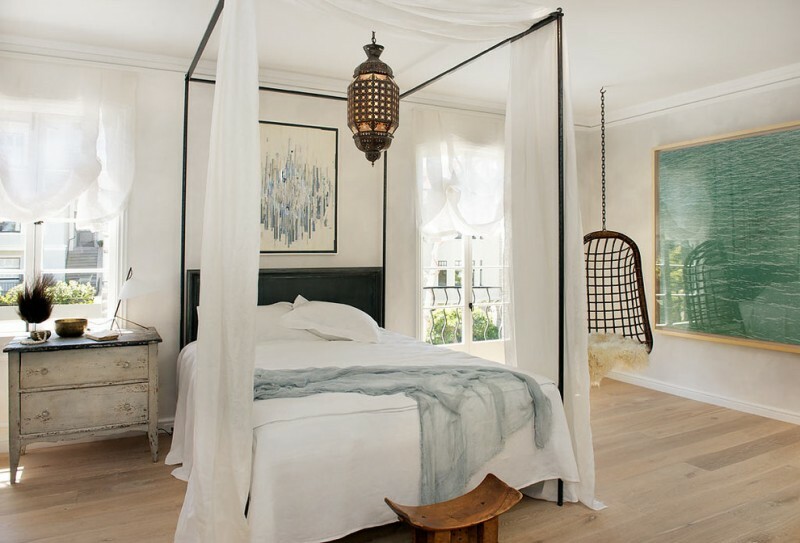 The light fixtures look like the floor lamps but they have string-hangers mounted on ceilings. It’s unique and interesting, rarely used. Just start to notice the pendant light. 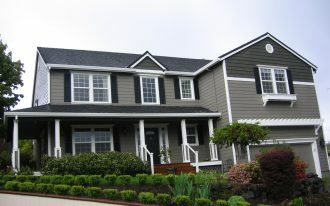 The style blends most updated modern and traditional influences. Such design works well in any styles of spaces. Magnify the space by choosing this smokey-glass pendant light. 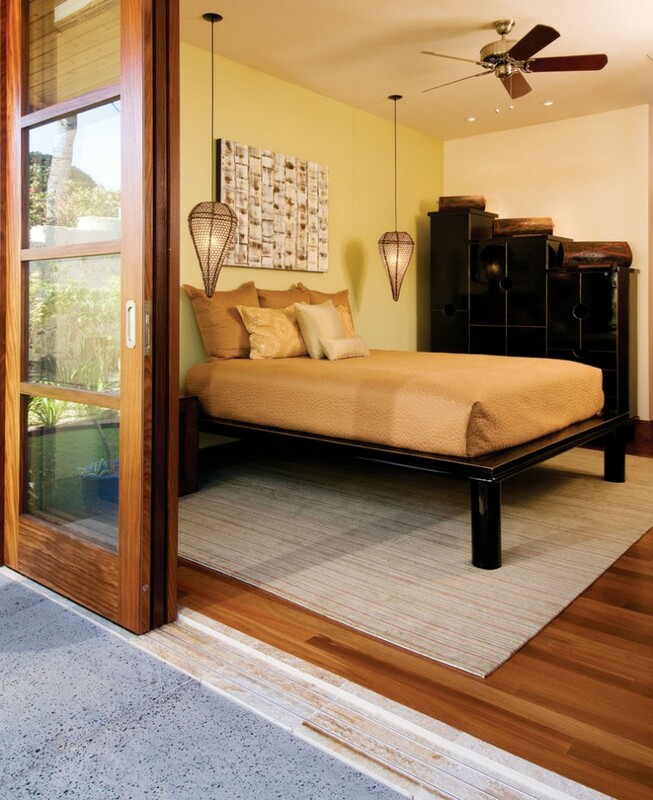 A tropical bedroom design accented by a pair of Tuscan style hanging light fixtures. 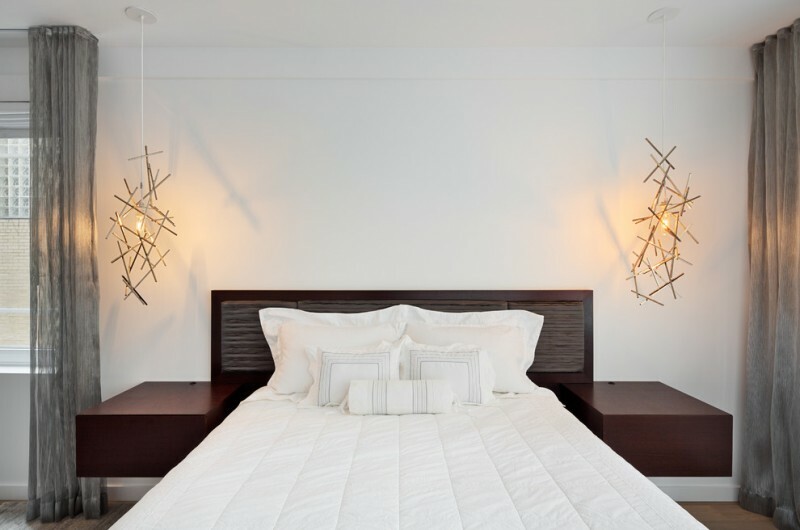 The fixtures’ tone perfectly blends with bedding treatment, giving a harmonious performance in this space. 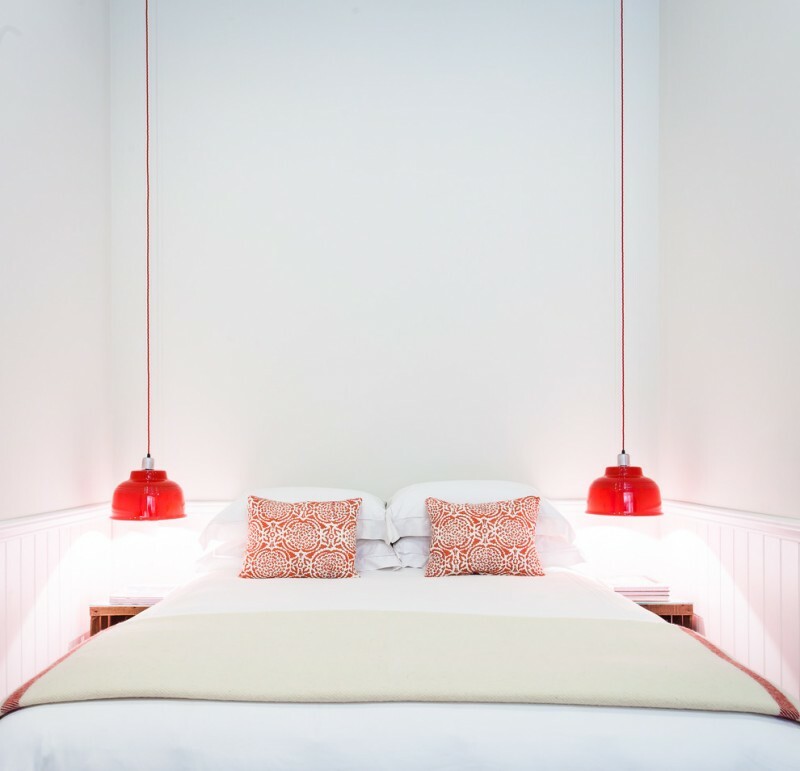 A pair of long-string pendant lights instead of bedside table lights. 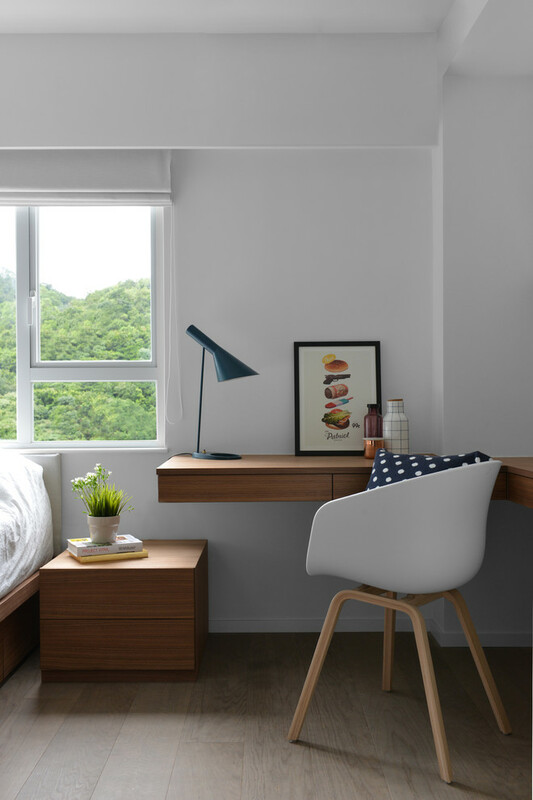 They effectively save amounts of space, also assist in creating a direct focal point by exploring more the bedroom’s lighting. 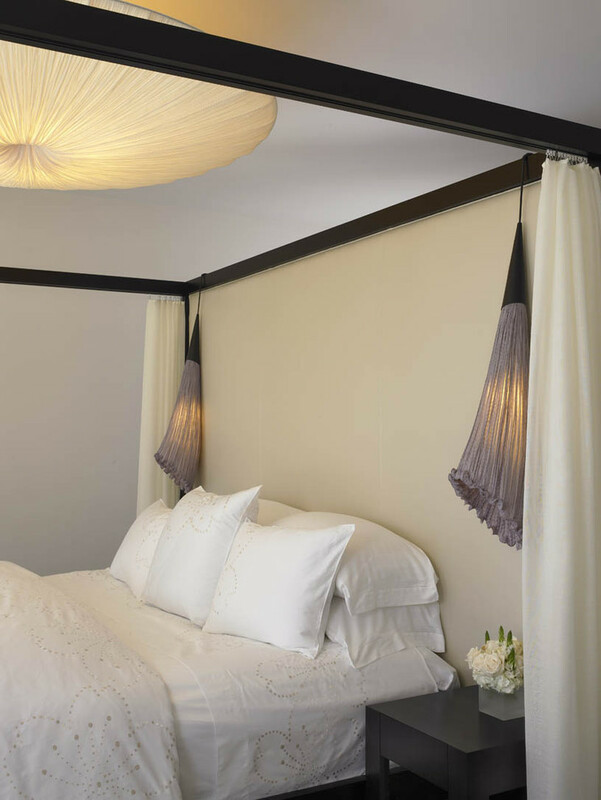 The easiest way to create a dramatic and romantic look: installing several series of bulb lights on the bed’s frame. Just make an awful arrangement, don’t worry about the messy look. The exposed bulbs wrap the poster bed’s overhead-beams, producing a perfect illumination for bed canopy. A Tuscan style pendant light contrasts with interior style, creating the most interesting focal point in this room. The illuminated space is visually warmer than surroundings that reflect cool and ‘quiet’ atmosphere. Galaxy lighting idea for modern bathroom. The design brings elegant and luxurious look, as good as the whole interior and bathroom fixture options. All items here perfectly complement each other. Try to be an outside-of-the-box person who has a brilliant and anti-mainstream idea. 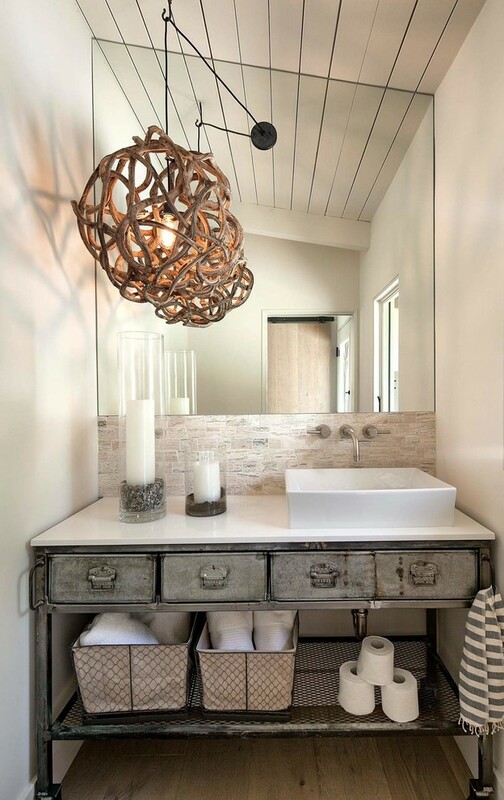 This bathroom lighting fixture, for instance, has a standout shade which is made of natural material. When the light is turned on, sinuous shadows will appear in your space. All-white interior idea furnished with clean white furniture set. 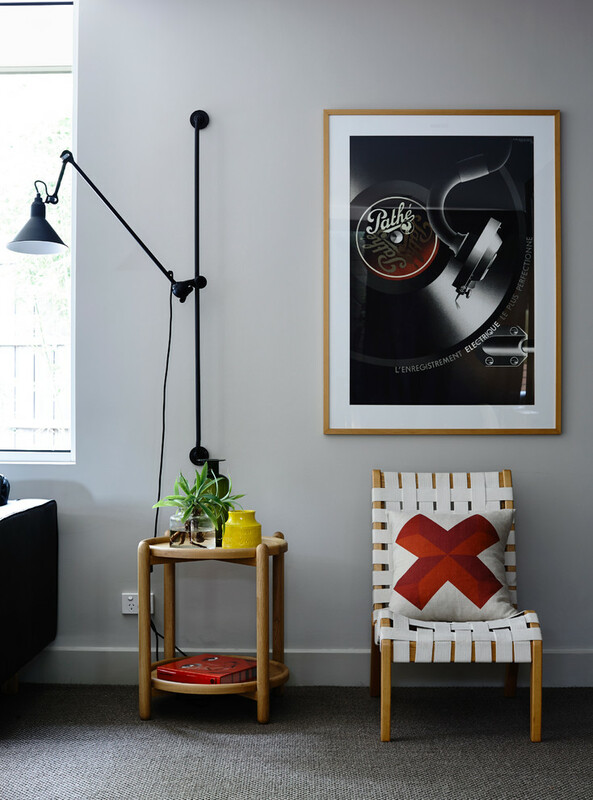 Metal floor lamp here is really stunning. 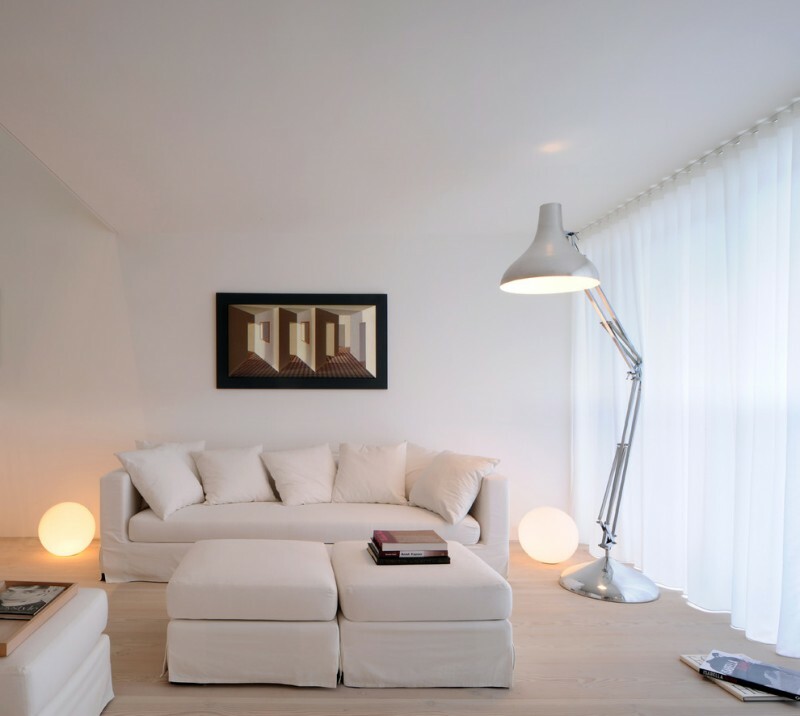 Its bright light has been balanced by warm and low-lighted floor-bulb lamps installed in sofa’s left and right. To create a modern minimalist interior without exposing too much impersonal and cold sense is quite difficult. You must choose the most matched layout, finishing, and lighting ideas; but here the designer is very clever to improve the warming look. He uses a couple of recessed light fixtures installed over the stove. Their yellowish light effect obviously helps creating warming and elegant illumination around the stove. The illuminated spot, finally, becomes the most attractive one to see. 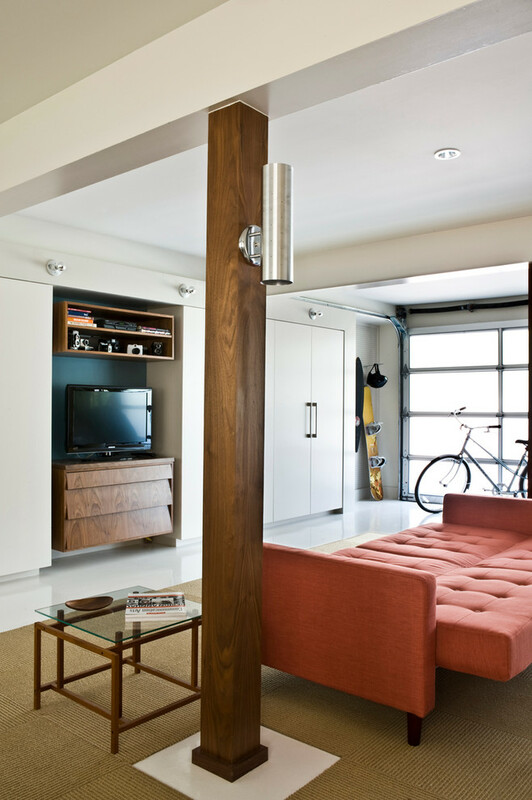 Modern small-sized living room idea accented with dramatically low-lighted wireless sconces. Their light effect just produces little flames shining on particular areas. 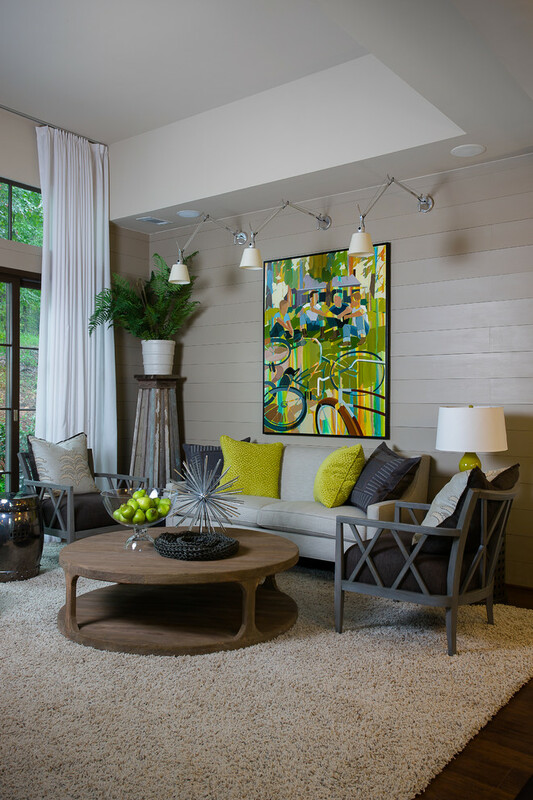 Contemporary fine art and central sofa add the aesthetic value in this space. The coolest vintage breakfast area ever! 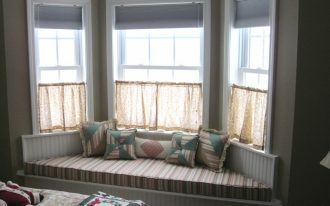 Blue sea vintage loveseat is used as the primary dining chair followed by a couple of black wrought iron chairs. On top, we’ ll see a pair of glass-wrapped bulb pendant lights supported with durable and weight metal holders. And the decorative wall mirror, actually, is quite artistic by its hand-carved frames. A modern industrial dining room concept for outdoor area. What makes this quite interesting is the pendant lights. The strings of light cables are so beautifully messy yet attractive. The fixtures send low light effects out over the dining area, matching for a romantic dinner with your big family. This is an industrial bedroom idea with dominating white interior. 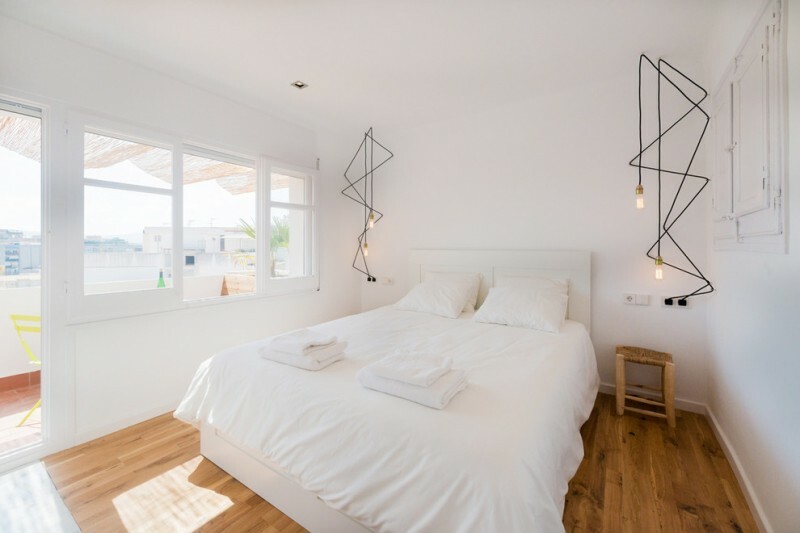 For having a modern look, use simple and low-hung bulb held by long single wire, so the warming and relaxing light effects reach the bed out. Creative open concept home library with half-way red bricks walls and white-painted concrete walls. 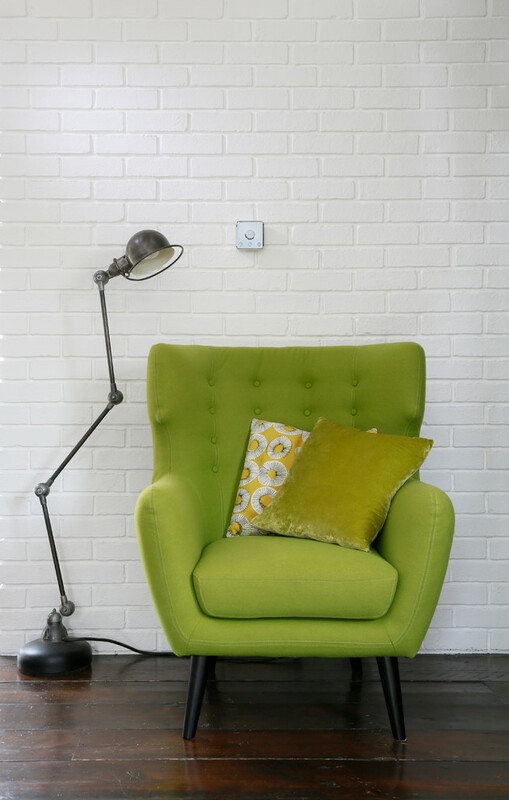 Make it more colorful just by adding a trendy floor light fixture with a stunning yellow shade. The color significantly contrasts against both kinds of walls, making the room more stylish. 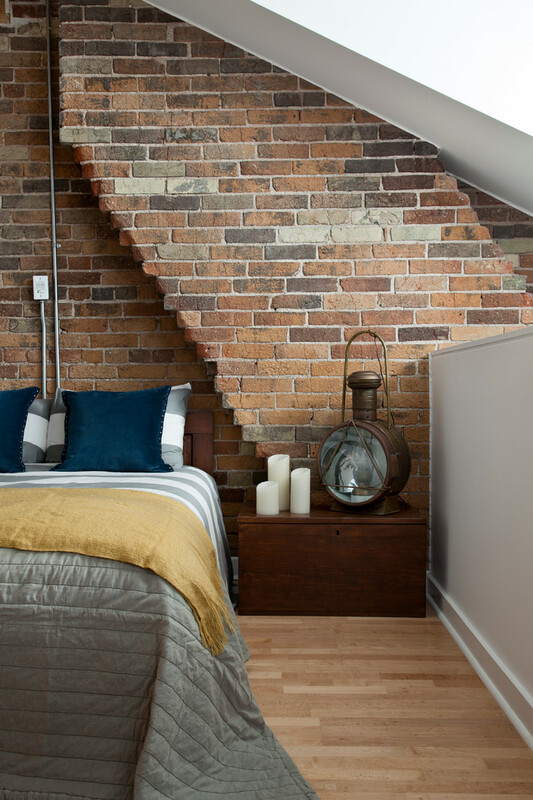 Loft bedroom idea featuring real shabby bricks walls. 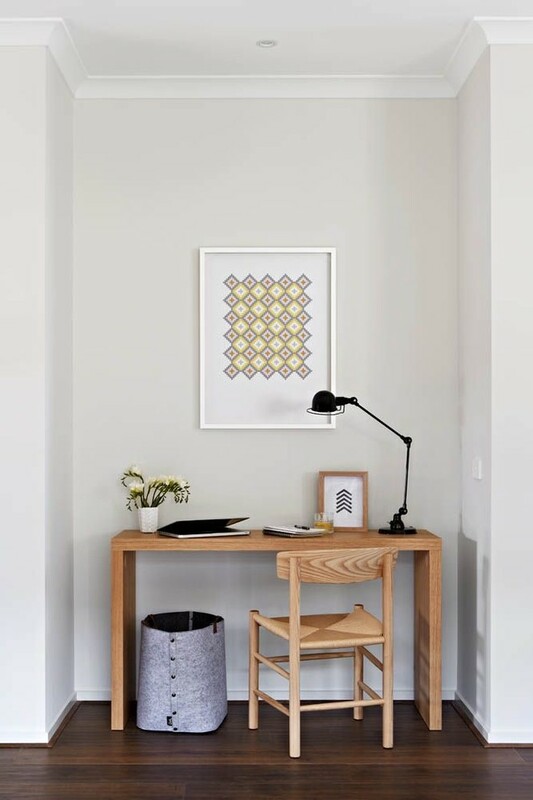 The design is unique as it combines traditional and modern style in one frame. Look at the table lamp, it brings a traditional flavor along with a cluster of candles. What a fabulous bulb! A light professional goes to this unique vanity light fixture. It’s hard to conceal its beauty. Unfortunately, the fixture may only fit some particular spaces, including the bathroom and powder room where its light effect is directly sent only to one’s face. An idea of trendy dining room featured by blue walls, white window shutters, and a cluster of small bulb pendant light fixtures. 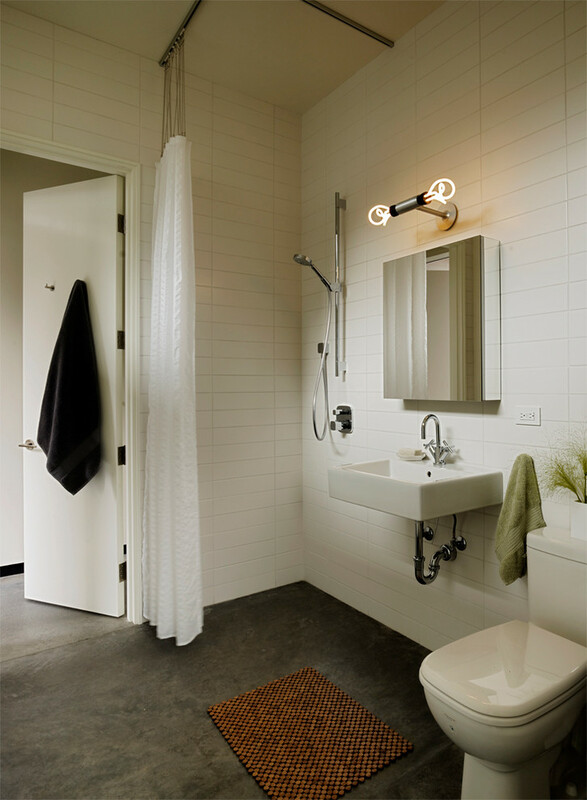 Based on the design, the fixtures have an industrial style in which it exposes much of hard metal use. A clean line dining room powered by such light masterpieces. Her, you discover two types of light fixtures designed by a brilliant designer. A tripod LED light fixture has been designed in simple look. Its shade and base are totally opposite in color. The pendant light, in the other hands, has creative accessory made of light metal and shaped in unique look. The light fixture is called restoration chandelier. The fixture is made from hard metal finished by dark brass. 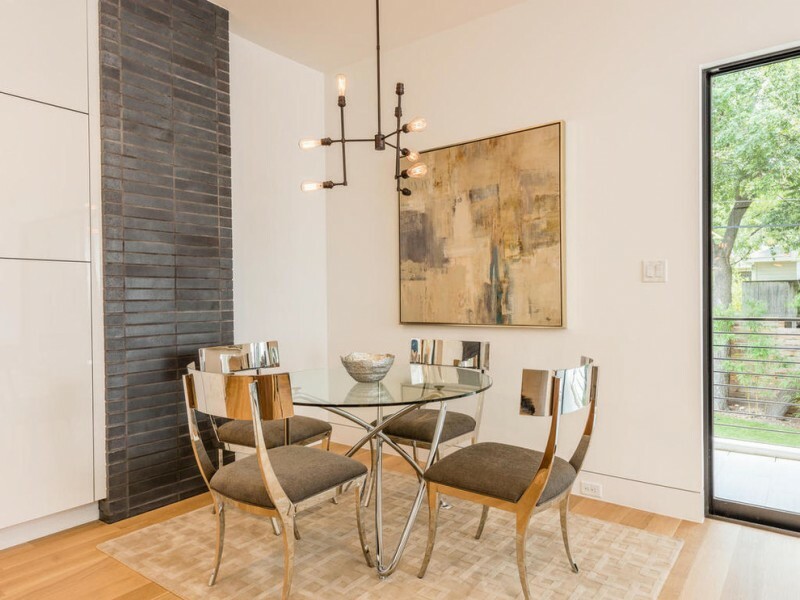 Just add such chandelier if you want to put a little industrial flavor in your contemporary dining room. 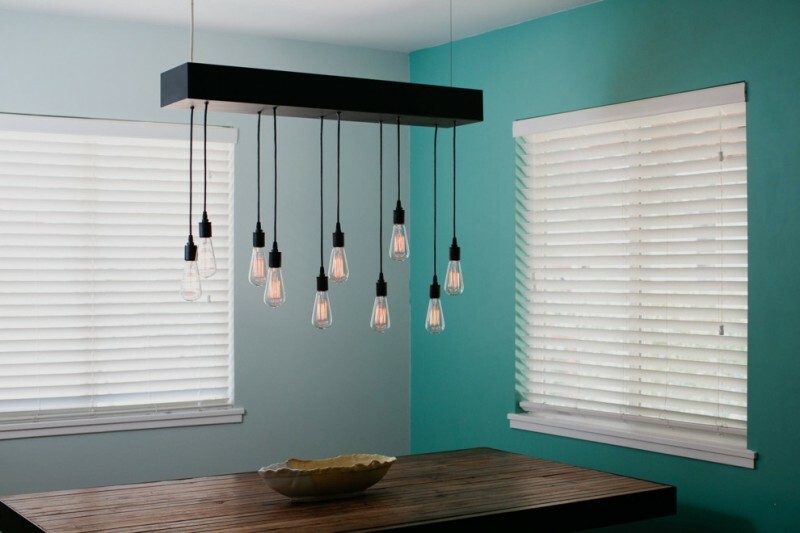 Magnify your loft area with such a beautiful bulb pendant group. 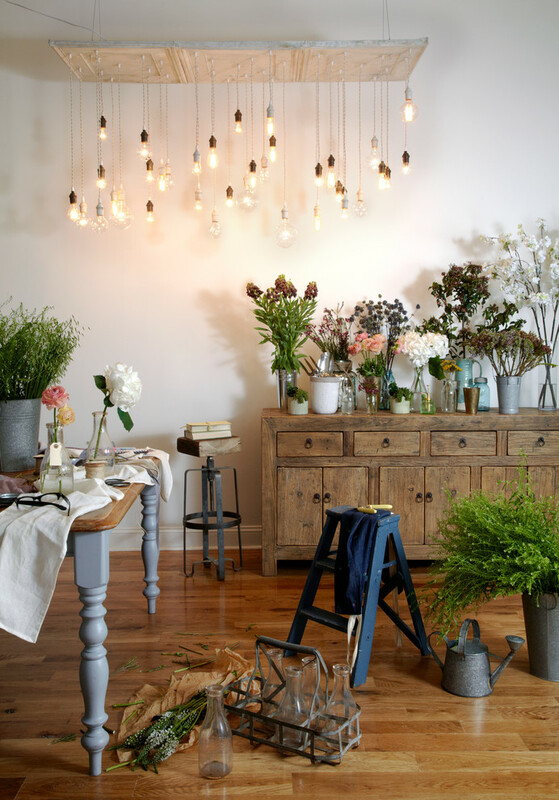 The pendants are hung on a wood ceiling tin and each bulb is placed in random level-height to create naturally beautiful bulb arrangement. The recessed light fixtures are put aside with each single step, providing amounts of light as well as decorative accents. 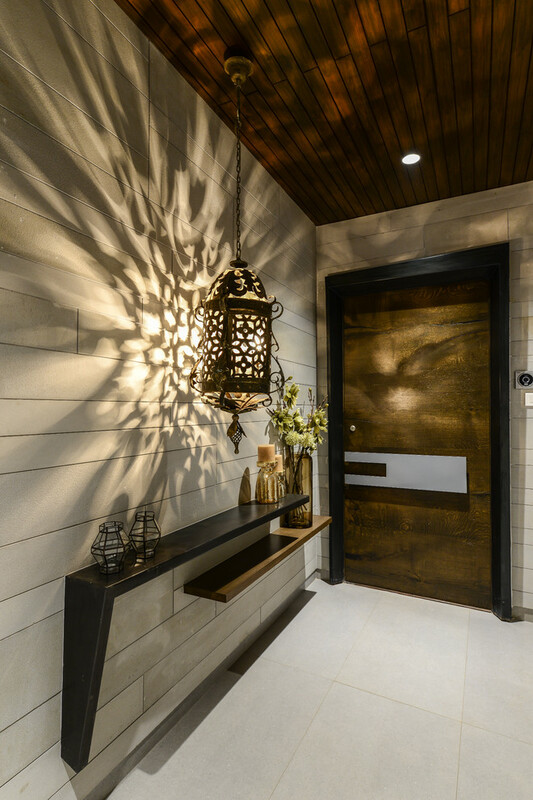 Hand-carved pendant light idea for a modern entryway. 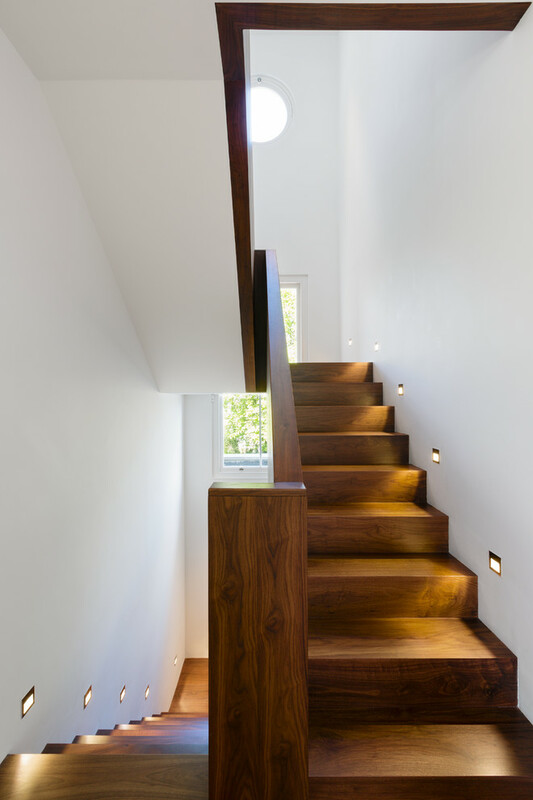 The fixture produces amazing light effect reflected on walls. 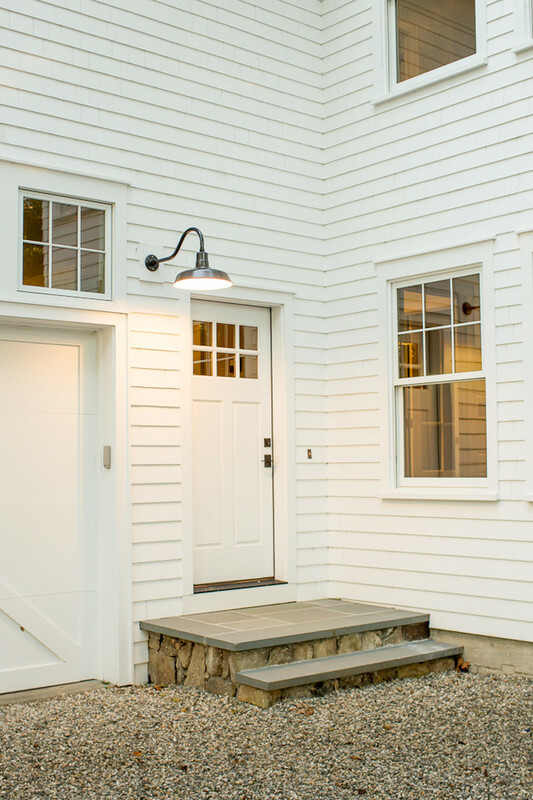 An inspiring country exterior idea with a spotlight fixture directly refers to the front door way. With low light effect, the exterior looks so quiet but warm. 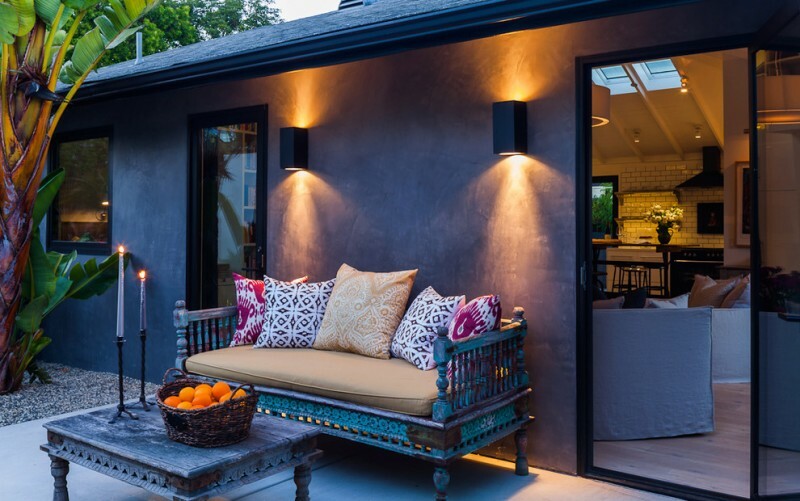 Simply modern sconces for a classic patio. The light effect is really interesting, it sends the ‘flames’ effect to up and below fixtures, letting the other areas romantically dark. 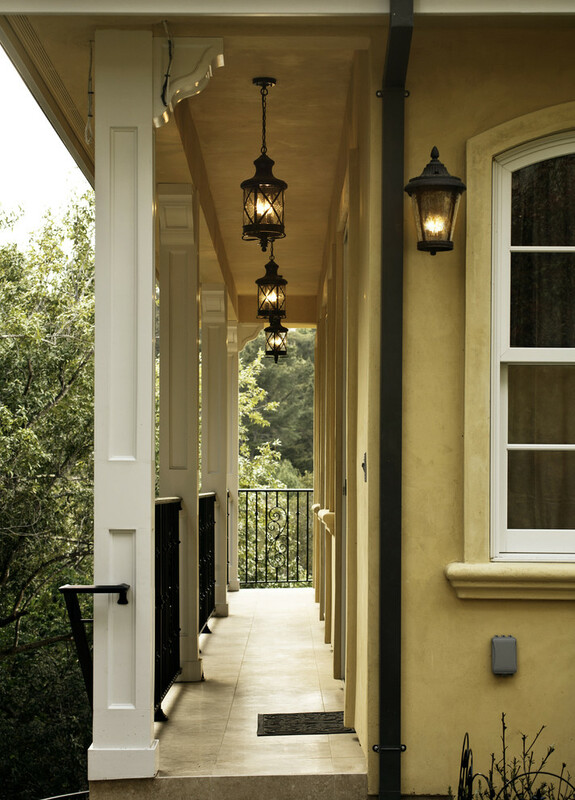 Complementary sconce and pendant lights – Their classic design fits this elegant porch. 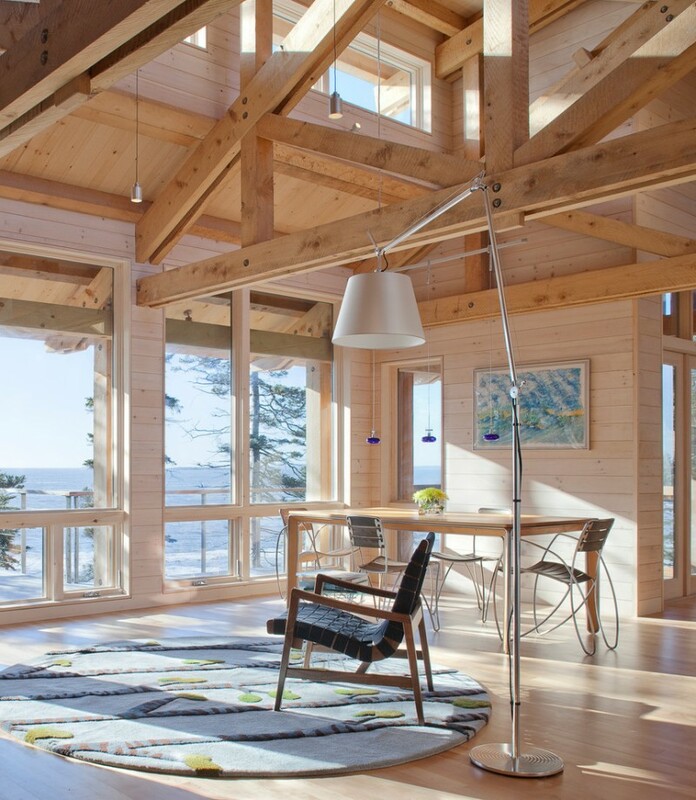 A messy sticks chandelier perfectly complements this all-white interior. It gives a direct accent especially for the top area. 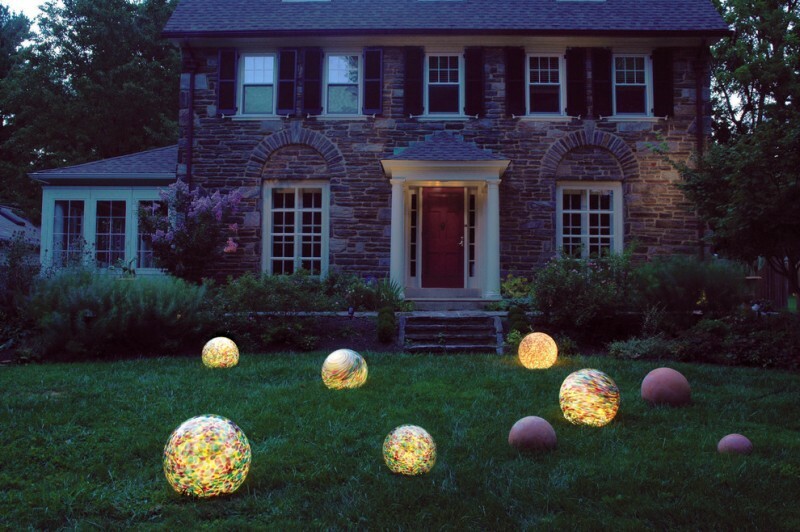 ‘Night Orbs’ light fixture idea for front yard or landscape – Light up your landscape area with these simple night orbs. Put some other non-flamed orbs as the accessories and let them shining in the dark. What a beautiful view!